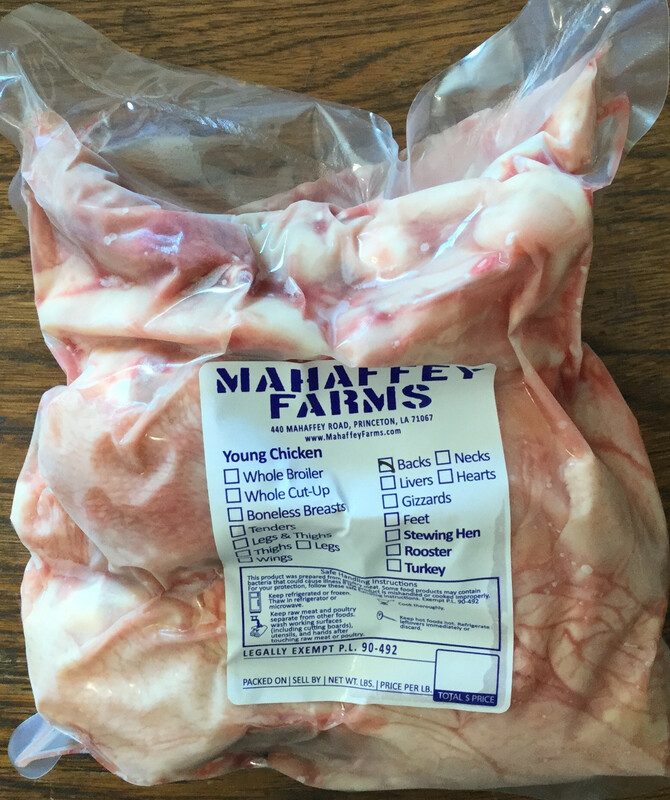 Pasture raised chicken backs are what’s left after the breast, wings, legs and tenders are cut away. Chicken backs are perfect for making broth or stock. Each pack has 2-3 backs with a fair amount of meat, fat and bones!